FILE THIS ONE UNDER: HUH..? WHAT THE HELL? 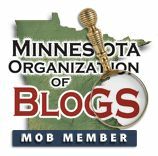 "Pro-family groups are defending a psychologist who screens potential officers for the Minneapolis Police Department after he was suspended because of his past affiliation with an Illinois group that opposes special legal recognition for homosexuals. Interim Chief Tim Dolan announced Aug. 24 that the police department would stop using Michael Campion's screening services until it could conduct an investigation into his relationship with the Illinois Family Institute (IFI) and whether his personal religious beliefs influence his psychological evaluations." Read more. Are black Democrats liberal enough for the left?